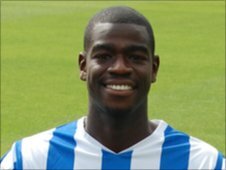 Colchester United defender Magnus Okuonghae will undergo ankle surgery next week and is expected to be ruled out for the rest of the season. The ongoing problem has sidelined the 25-year-old since November. "Magnus is due to have his operation on Tuesday. The issue is that he doesn't feel mobile enough," boss John Ward told the club website. "And he isn't confident that, should he require a change of pace, he can get away from someone or close them down." The centre-half joined the U's from Dagenham & Redbridge in the summer of 2009 and has gone on to feature 66 times. He made 17 appearances this season before suffering his setback.